We just had an unplanned and very spontaneous 7 minute (21.00-21.07 GMT+1) downtime. All systems are up and running again and we are looking into it. There is an easy way to directly shorten URLs out of Google Reader. Just manually add Chilp.it and it will show up in the “Send to:” menu at the bottom of each item. Done. You can now directly send items you like to share with others to Chilp.it for easy shortening. 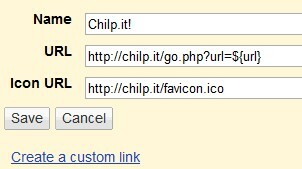 Just select “Send to” & “Chilp.it” at the bottom of an item in Google Reader and the URL will be directly processed. Easy, huh? If you have any questions just drop us a line and we’ll get back to you.